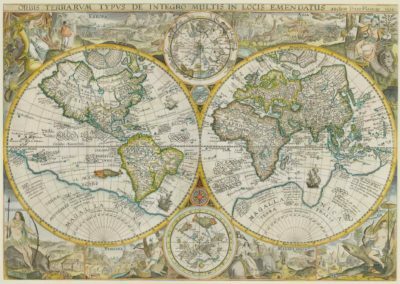 Juha Nurminen’s collection of world maps is the largest private collection of early printed world maps in the Nordic countries. 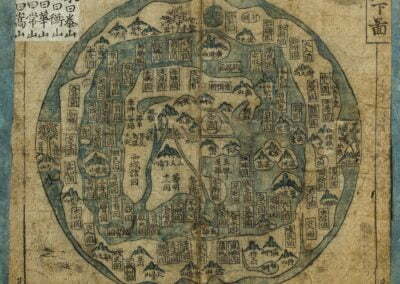 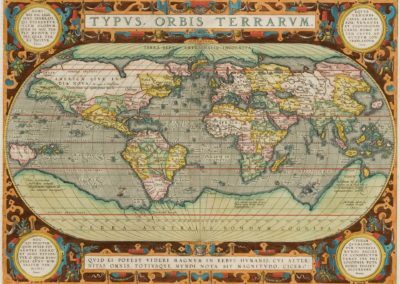 The collection features a highly significant – also on the global scale – selection of the earliest printed world maps and atlases from the 15th and 16th centuries. 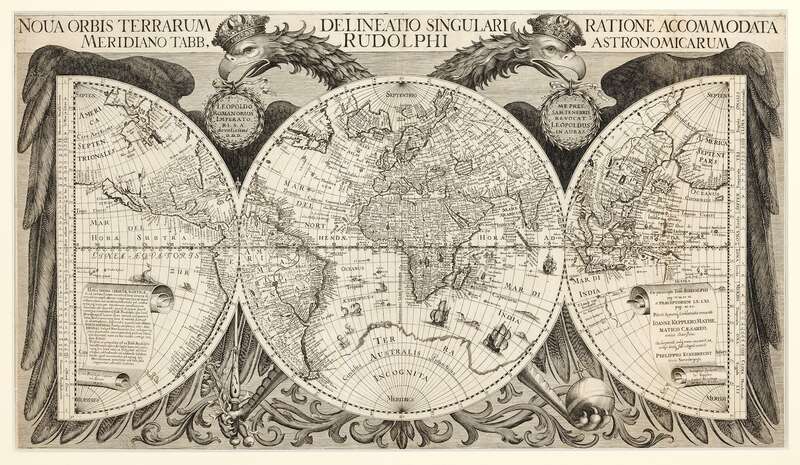 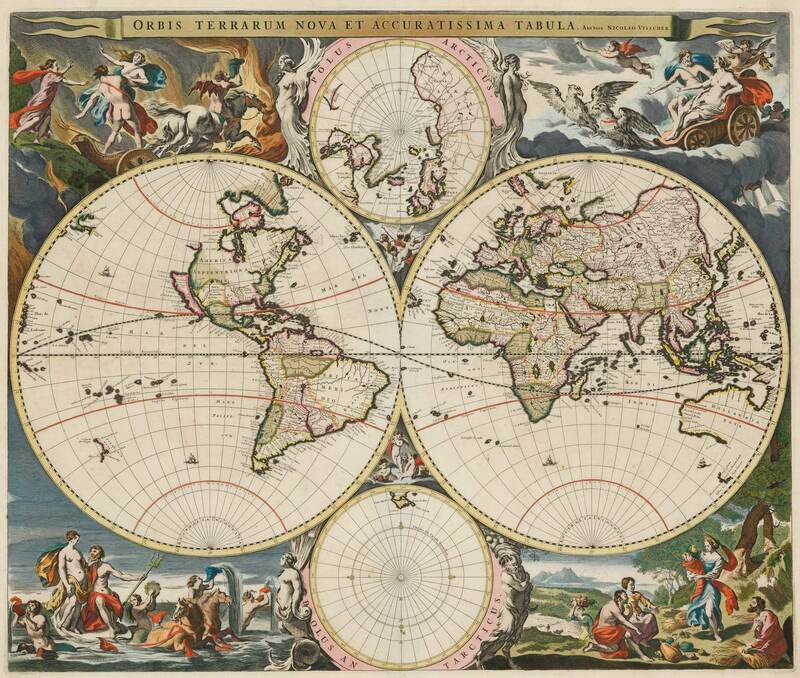 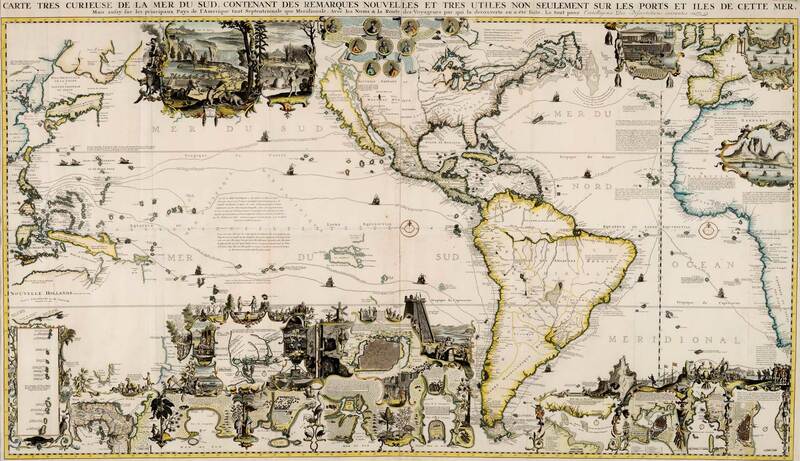 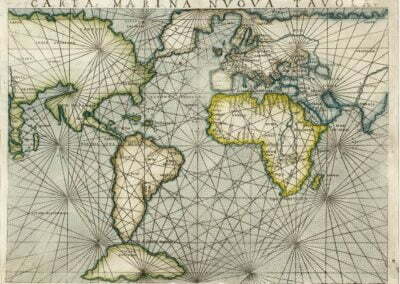 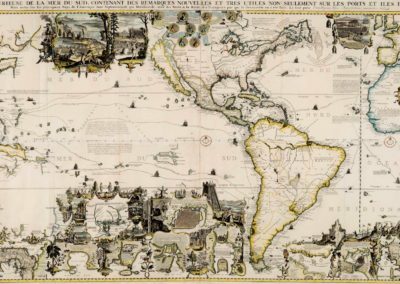 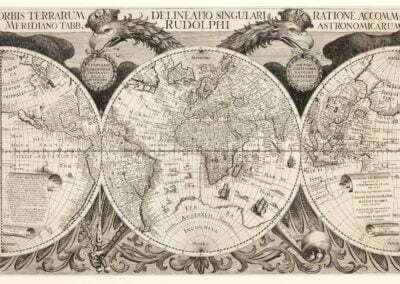 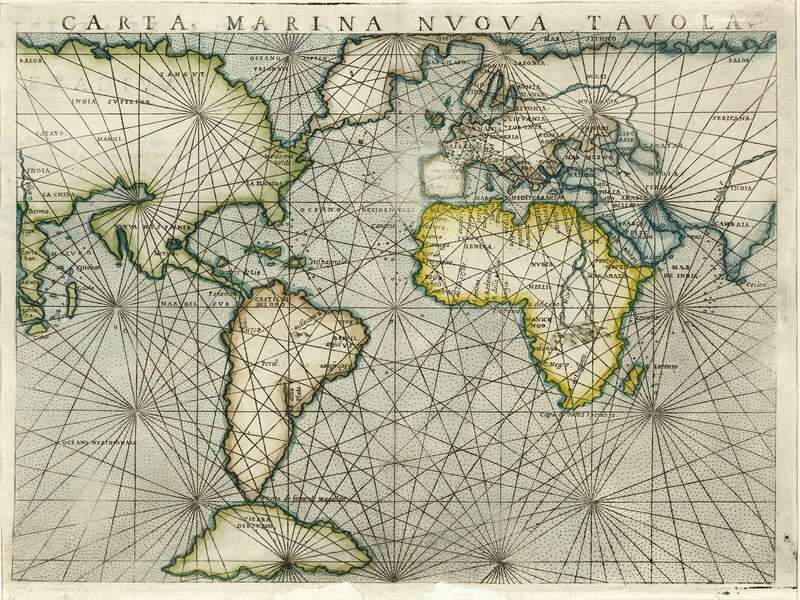 World maps from the 17th and 18th centuries are also magnificently represented. 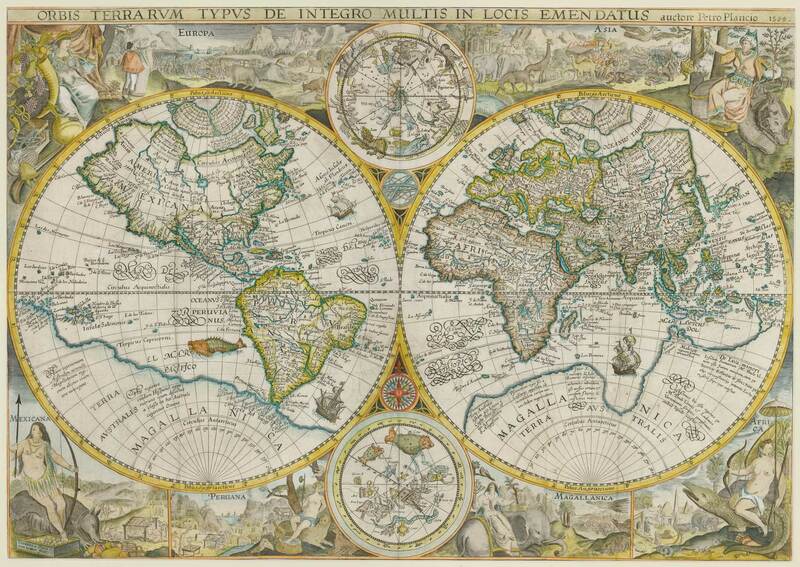 Rarities of the collection include, for example, five incunables, i.e. 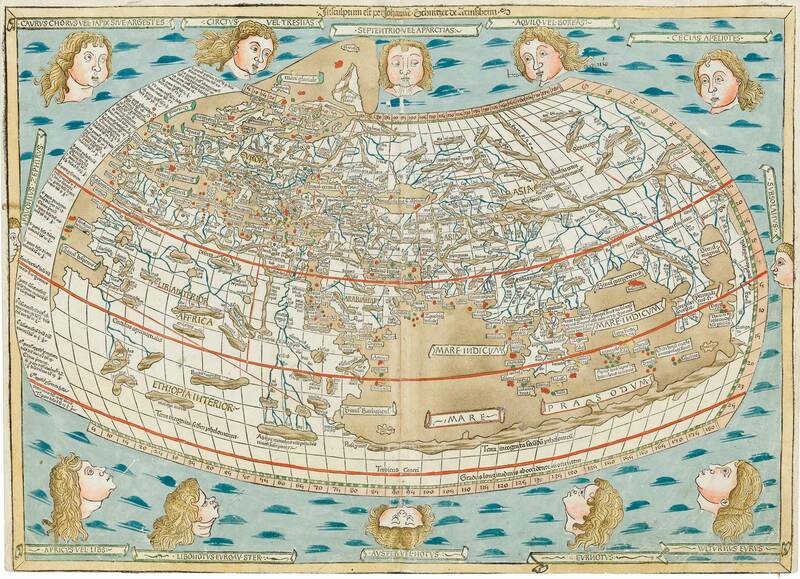 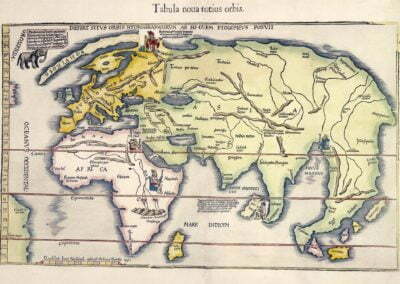 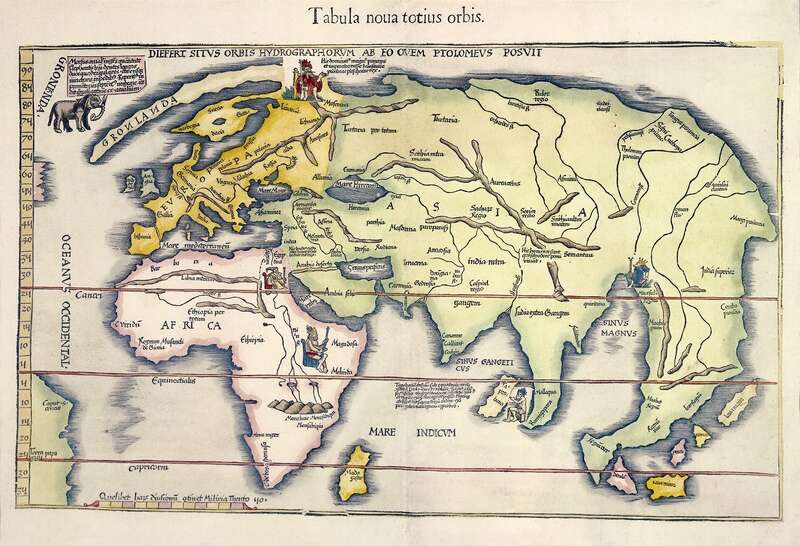 world maps printed before the year 1500. 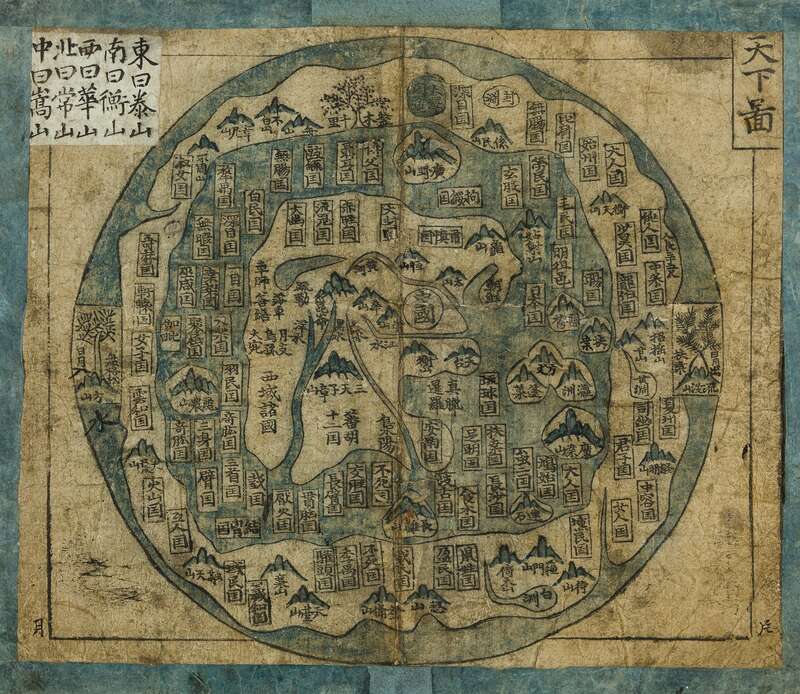 Moreover, the collection features some extremely rare manuscripts, for example a Persian and Korean one. 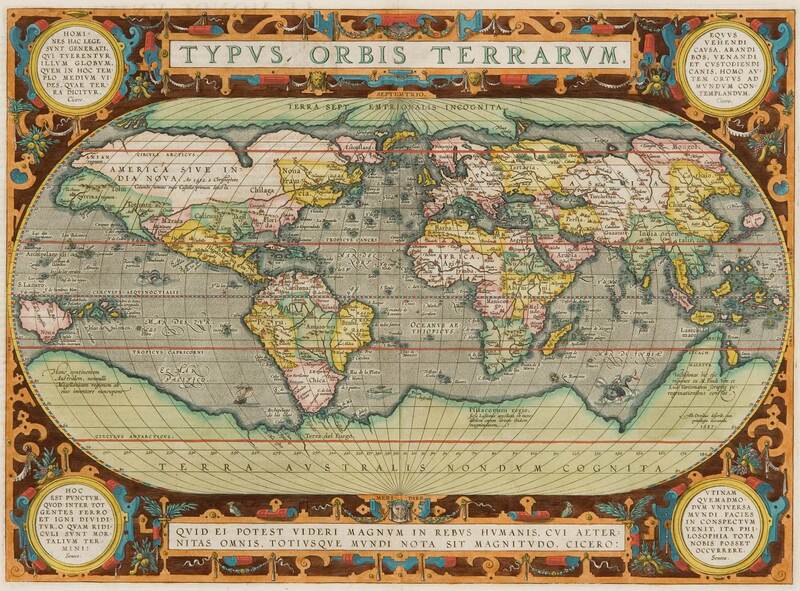 All in all, the collection features 148 single sheet world maps, most of which are in folio size. 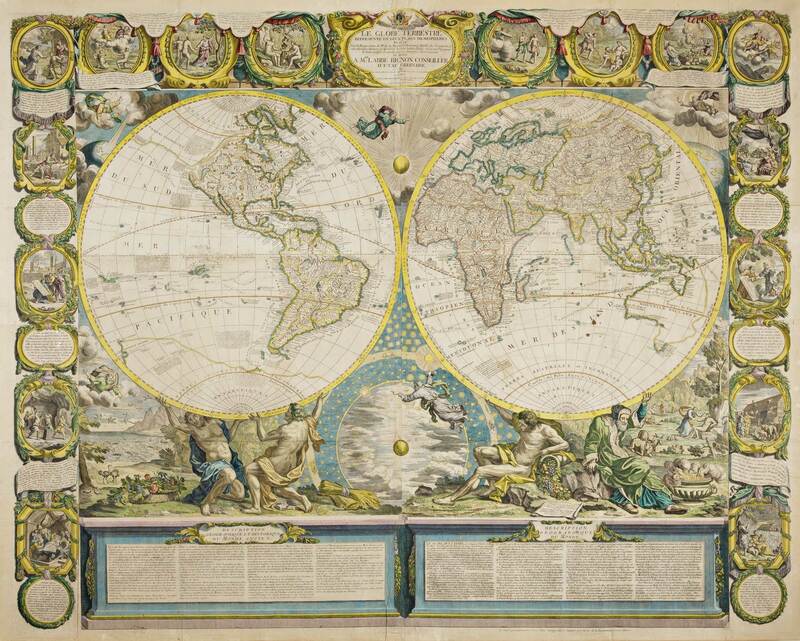 There are also nine large wall maps, and 18 small-sized miniature maps. 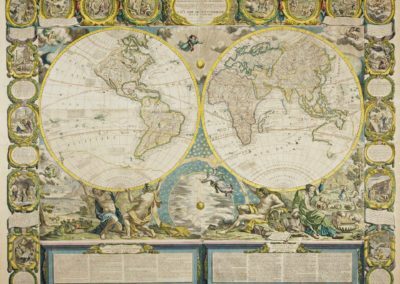 The collection also features 22 atlases, and other rare books on cosmography, cartography and navigation which contain world maps. 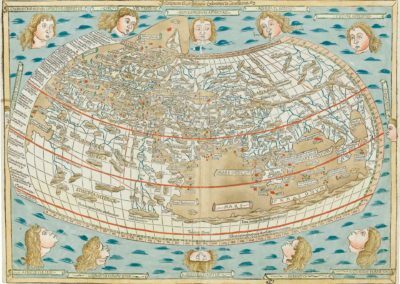 The timespan of the collection’s world maps extends from the first printed world map from 1477 all the way to the late 19th century. 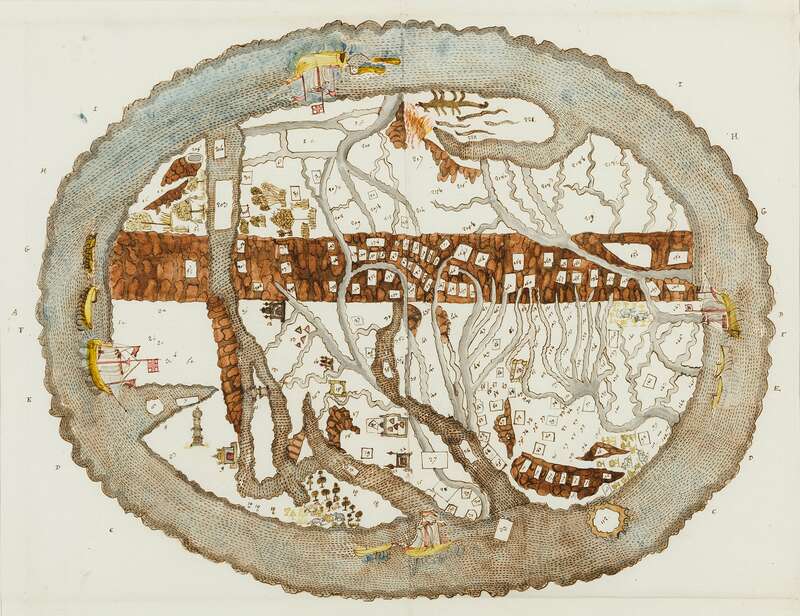 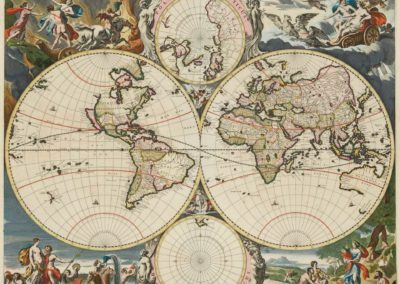 The maps of the collection are a wonderful expression of how our worldview opened up and expanded through expeditions to become that scientifically precise worldview we know today. 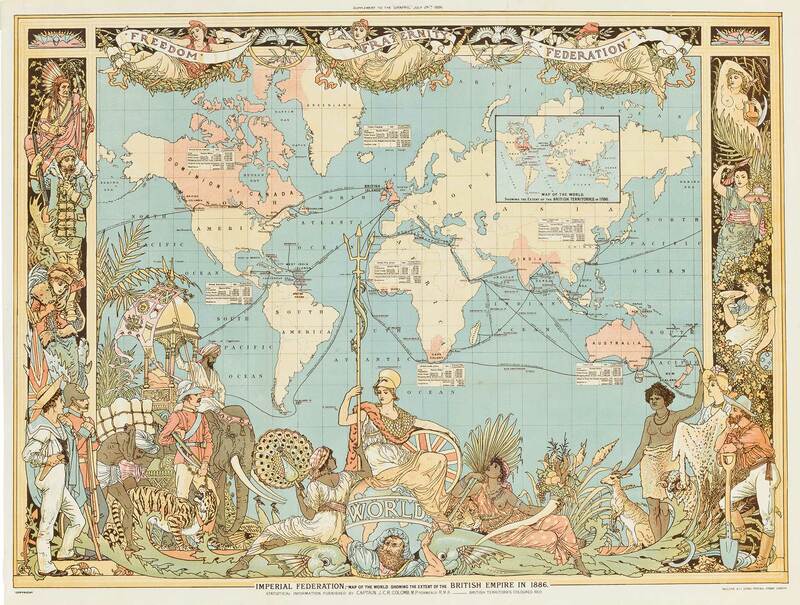 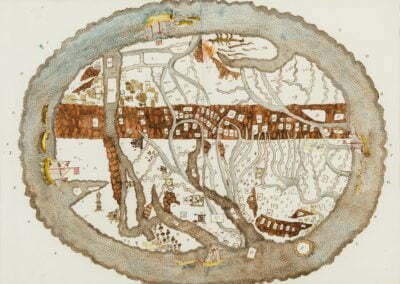 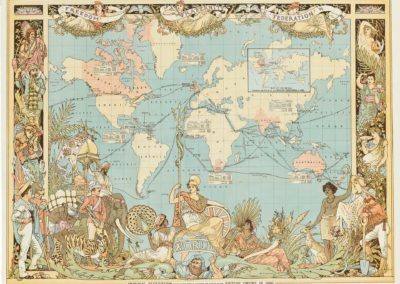 Old world maps are aesthetic masterpieces and rich conveyors of the last 500 years of cultural history.